Very close to Tringulum galaxy M33 we may spot a bright open cluster towards Perseus constellation. 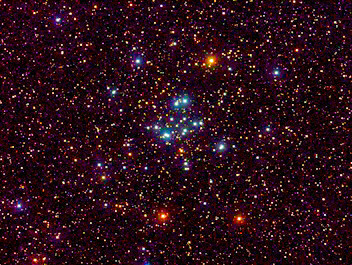 Its name is M34 and here it is a picture I took today through a remote 6 inch apochromatic refractor on New Mexico that shows colorful stars. Enjoy it! This picture is the result of stacking 9 subframes of 120 seconds of exposition each one through a 6-inch refractor telescope. Pluto is a dwarf planet in the solar system, part of a double planetary system with its satellite Charon. It has a highly eccentric orbit inclined to the ecliptic, which runs until closer at perihelion inside the orbit of Neptune. The Pluto-Charon system has two moons: Nix and Hydra. 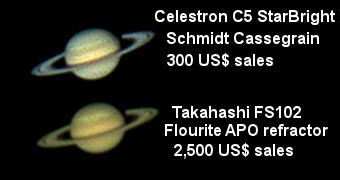 These are celestial bodies that share the same category. 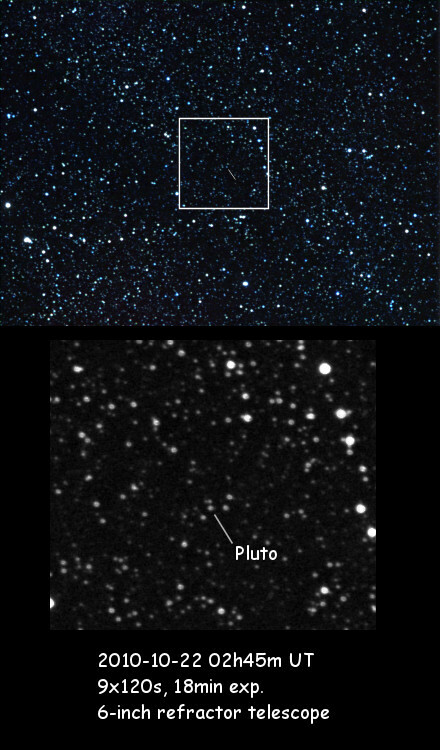 It was discovered on February 18, 1930 by American astronomer Clyde William Tombaugh (1906-1997) from the Lowell Observatory in Flagstaff, Arizona, and as the ninth and smallest planet in the Solar System by the International Astronomical Union and public opinion from then until 2006, but their group of planets in the solar system was always the subject of controversy among astronomers. Its great distance from the Sun and the Earth, coupled with its small size, prevents shine below the magnitude 13.8 in its best moments (orbital perihelion and opposition), so it can be spotted only with telescopes bigger than 200 mm aperture (although there are people that says it can be spotted through apertures of 125 mm), photographically or CCD camera. It appears as star-looking, yellow, featureless point of light (apparent diameter of less than 0.1 arcsec).